During your gap year in Tel Aviv you’ll have plenty of time to explore the city and discover the different styles of the many neighbourhoods. 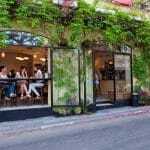 However, to help you get started here is a short guide to some of Tel Aviv’s top neighbourhoods. This is easily the most popular area in the city at the moment, it is a mixture of oriental chaos and the latest hipster chic. During the day you can enjoy a colourful market and at night a number of bars and restaurants. 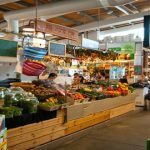 Jewish merchants founded the market in 1921 as the city’s first commercial neighbourhood, since then it has undergone numerous transformations and in recent times has overtaken Florentine as Tel Aviv’s ‘coolest’ neighbourhood (depending on whom you ask). During your year in Israel you’ll have plenty of time to explore its many cafes and restaurants and of course do your shopping. A good tip is to start at Café Levinsky where you can get a map and an excellent espresso before delving into all the market has to offer. Many argue that Neve Tzedek is Tel Aviv’s most beautiful neighbourhood. It is certainly the city’s oldest, established in 1887 by Aharon Chelouche. The neighbourhood is located at the top of Rothschild Boulevard and runs right the way down to the beach and The Old Railway Station. On its streets you can enjoy a mix of high-end fashion shops, fancy restaurants and hidden gardens. The streets are extremely picturesque and a walk around them will reveal how the city’s elite lives. While there, you can enjoy an ice cream and a show at the Suzanne Dellal Centre, Israel’s leading modern dance hub. Leading the way in Jaffa’s rebirth as a young urban mecca is the Shuk Hapishpeshim, the flea market. The market is located across a few streets in northern Jaffa and it is packed with stalls selling all kinds of odds and ends as well as numerous bars and restaurants. A great thing about the market is that it is a true example of coexistence with stalls owned by both Jews and Arabs. During the evening you will find it a great place to experience some local night life and a different side to the city. 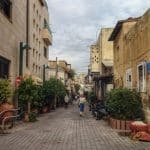 This neighbourhood is almost as old as Neve Tzedek and it is a maze of densely packed streets, stalls and alleys between the Carmel Market and the beach. The area is popular for those that enjoy eating Yemenite stews and more recently an area that used to be mainly butchers and fishmongers has become a walkway of bars and cafes.